Happy Spring! 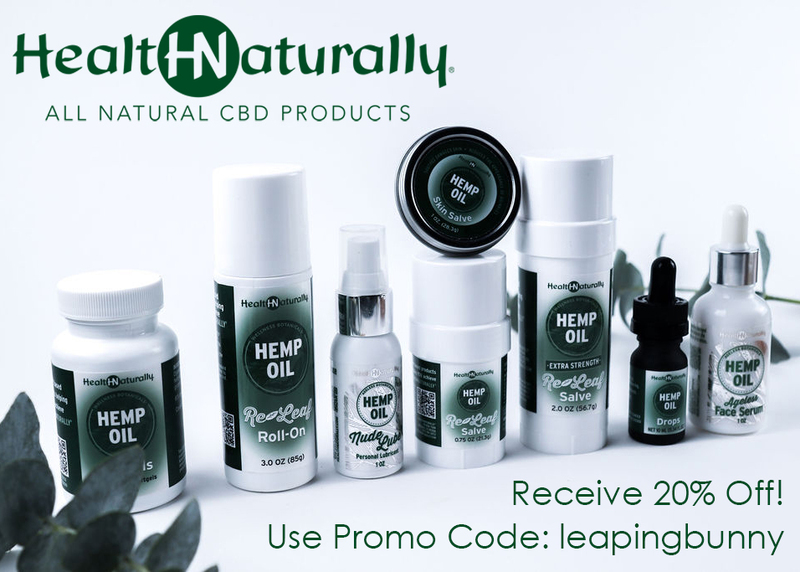 March is always an exciting month for Leaping Bunny, as we make our annual trip to Anaheim, CA, for Natural Products Expo West. From March 7-9, we had a wonderful time meeting with our certified companies that had booths there. This event provides a chance for us to check in with our brands to get the latest scoop on their product lines and answer any questions they may have in person. Please enjoy our Expo roundup below and see what’s new and exciting in the cruelty-free natural world! 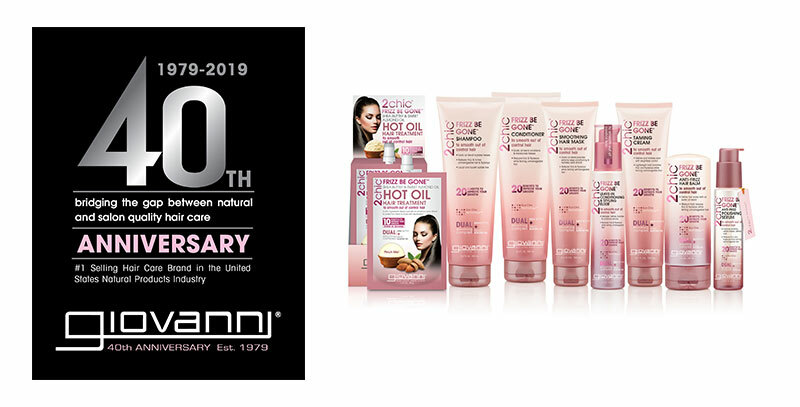 Additionally, we are happy to feature an amazing spotlight interview with Leaping Bunny superstar company, Giovanni Cosmetics, which is celebrating its 40th anniversary this year. Read below to find out about how the company got started, its most popular lines, and what makes their products so special. 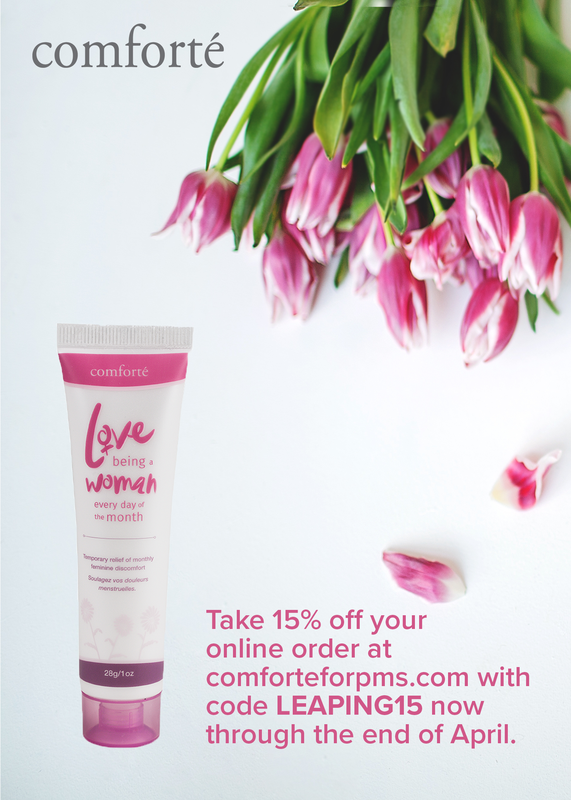 And be sure to scroll through to the end for exclusive discounts with Comforte, HealthNaturally, and Karmela Cosmetics. 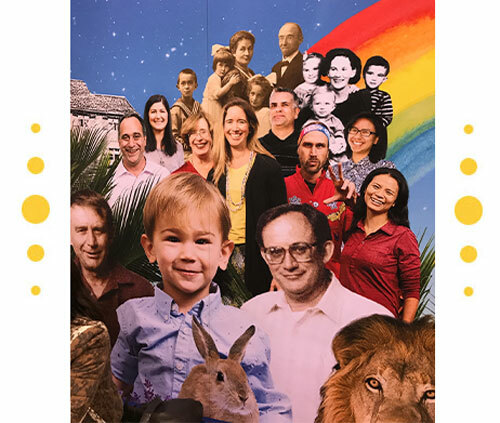 Over three days, Kim and Caitlin visited more than 80 companies at Expo West, the largest convention of natural products in the world. We got sneak peeks of new products that will be hitting the shelves soon, took pictures for social media, and shared stories and laughs with the companies we visited. Here are some of the highlights! The day began with a visit to the Method booth. Method’s booth is always bright, colorful, and minimal to match its playful and attractive packaging. We are excited for their new dreamy personal care product line that the company has recently launched. This company has been certified since 1999, so this year is their 20th anniversary with Leaping Bunny! We always love the company’s dedication to their simple, yet effective, products, which have stood the test of time. We also met Michael Bronner, the President of Dr. Bronner’s, and grandson of the company’s founder, Emanuel Bronner. The energy at the Biokleen booth is always contagious. This year, the company had visitors fill out little tags to hang from a tree on display with the promise to plant a tree for every person represented. How wonderful! We also enjoyed some beverages for a midafternoon break, which included kombucha on tap! Earth Friendly Products has one of the biggest and most colorful booths at Expo. This company has a huge range of products from laundry detergent to companion pet care. Caitlin and Kim particularly enjoyed smelling the company’s array of air fresheners, which are packaged beautifully and can be used in the car or even in the kitchen! The Giovanni booth is always a highlight at Expo. Caitlin and Kim always gush over the various scents and lines of products, and end with some quality time in the photo booth. SO FUN. Read more about Giovanni in our spotlight interview below! Who can resist a company full of super friendly people with the most beautiful smiles? The Hello booth was filled to the brim with the company’s amazing products ranging from toothpaste, to floss, to mouthwash. 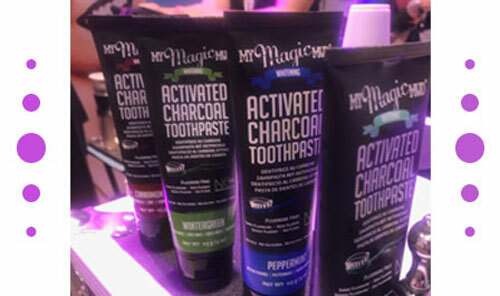 We love this company’s energy as well as their offerings of both fluoride and fluoride-free products, along with a new charcoal line! We love Level Naturals’ use of packaging. Rather than eggs in egg crates, you’ll find bath bombs! Another product we are going crazy for are the shower bombs because there are people in this world who will never know the pleasure of a bath bomb and deserve something special to take their showering experience to the next level. If there is one word to describe the My Magic Mud booth, it’s ‘cool.’ The company employees are the hip, alternative kids in town, and we loved spending time at their rock and roll inspired booth. The company will be releasing some new products in the near future, so keep an eye out for them! When Schmidt’s was first certified, their sole product was a natural deodorant in a jar. My, how times have changed! We are constantly blown away by the company’s expanded line, which now includes bar soap, mouthwash, and body wash. Our hearts were especially touched by the Lily of the Valley line, which benefits the Jane Goodall Institute’s efforts to protect animals and the environment. There is no denying it, Leaping Bunny loves Giovanni Cosmetics. The Leaping Bunny staff members each have their specific favorite product lines. Caitlin loves the Ulta-Moist line for her dry hair and also because it smells amazing (as do all Giovanni products) and Kim is a huge fan of the Tea Tree Triple Treat shampoo and conditioner. One of the best aspects of the company’s styling collection is that you can mix and match to create your own haircare tonic and everything is so affordable. Insider tip: the company’s body wash and shaving lotion are incredible, too! With so much excitement, we bring you our company spotlight interview with Joann V. Donley, National Sales Manager, Natural Channel- US & Canada, for Giovanni Cosmetics. According to Giovanni’s website, the company has been around since 1979! What was the inspiration behind the creation of Giovanni Cosmetics? Giovanni’s founder, Arthur Guidotti, owned a successful salon on the Sunset Strip (aptly named “On Sunset”). He was the go-to hair guru for starlets like Lucille Ball, but his hands/skin suffered from the harsh chemical components of salon hair care products. Arthur was a true visionary and developed Giovanni Hair Care utilizing the most natural ingredients available without sacrificing efficacy. The brand remains true to this intent to this day: salon quality, color safe, effective hair care collections for the Natural Products Industry and all consumers! 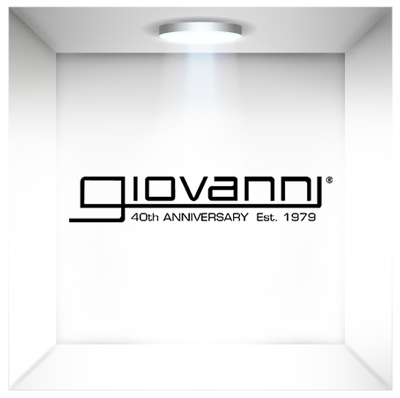 What is your favorite Giovanni product line and why? 2chic Ultra-Revive Collection with Pineapple & Ginger for all hair types. The scent is transformative, and the Shampoo does double duty as my go-to Body Wash! Do you have a personal Holy Grail product? If so, what is it? Can I have three?! I have super curly, fine hair that requires deep conditioning and taming. 2chic Ultra-Moist Deep Moisture Mask is my go-to conditioner and 2chic Ultra-Moist Dual Action Protective Leave-in Spray detangles for a manageable air dry (or acts as a heat protectant when I blow dry). 2chic Ultra-Revive Super Potion Anti-Frizz Serum is my favorite finishing product to define curls. Giovanni has so many amazing hair care lines for all different hair types. What is your most popular hair care line? Eco Chic Tea Tree Triple Treat Shampoo is Giovanni’s most popular “legacy” product developed by Arthur Guidotti. Tea Tree Oil is a mainstay in the Natural Products Industry, and I foresee Giovanni’s Tea Tree Triple Treat enjoying another 40 years of popularity and success! More recent innovation (past 10 years) includes seven 2chic Hair Care Collections—all the brainchild of Arthur’s son and Giovanni’s current CEO, G. James Guidotti. The 2chic Frizz Be Gone & 2chic Ultra-Revive are the current hero collections within North America (because who doesn’t NEED to de-frizz and WANT to smell like Pineapple?!). 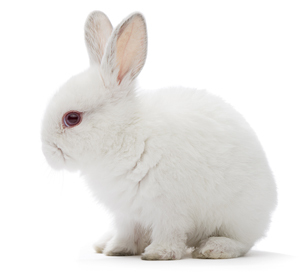 Why is being Leaping Bunny certified important to Giovanni Cosmetics? Giovanni has always been cruelty free (est. 1979) and Leaping Bunny truly is the gold-standard for cruelty free certification for the Health & Beauty Industry. The Leaping Bunny logo is recognized and trusted by millions of consumers worldwide and Giovanni has been a proud partner for many years (LB has a strict annual renewal process). Lastly, the recent addition of a leading “conventional” make-up brand to the Leaping Bunny family really speaks to the global recognition and significance of the certification. What is something unique about Giovanni Cosmetics that others may not know? ALL Giovanni Hair Care is Salon Quality AND Color Safe. Giovanni Hair Care products used by salons are the exact same formulas available via retail!